This is my second post of the day! Scroll down to see my Never Grow Up card for So Suzy Stamps. We have had so much excitement over the past few weeks! But today I heard the best news! He will go home TOMORROW!!! And Twin B, Gabriel... well, he made a very valiant effort yesterday, but just was to tired out last night, that he decided to just sleep rather than eat. 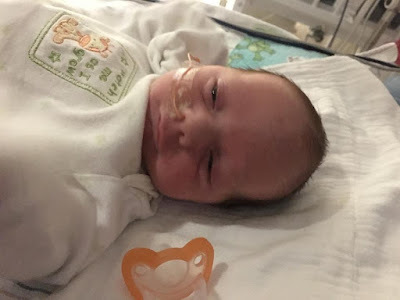 So he had his nighttime meals through his feeding tube. But he's growing and getting stronger, so hopefully he will be ready in a few more days. My son and daughter in law are so anxious to bring their boys home. They are sick of trekking to and from the hospital and just want to be a family. But it is definitely looking positive that that day is coming very soon! We should have two more family members here for Easter!! So in the theme of Easter... here is a card I made for my mom. I used my MISTI stamp the Gina K iris image three times using her Lovely Lavender Ink on Gina K Pure Luxury card stock. Then colored it with my Faber Castell Polychromos pencils, sketching in a few extra leaves. I did a bit of blending of the softer lavender pencil with a blending stump dipped in Gamsol. It softened the shade of the petals quickly and easily, and then I just layered the deeper colors over that. That's it for me. I'm celebrating Easter already! Have a wonderful day! Chris, this card is amazing, the flowers look so real. I love it! 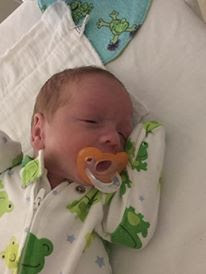 Great news on your little grandsons, Gabriel will catch soon. It is so nice having little people about. Have a wonderful Easter! Great news on the twins! I'll be so happy when they can go home. Beautiful card, as always. Love the purple. So Easter-y. Thanks for sharing! 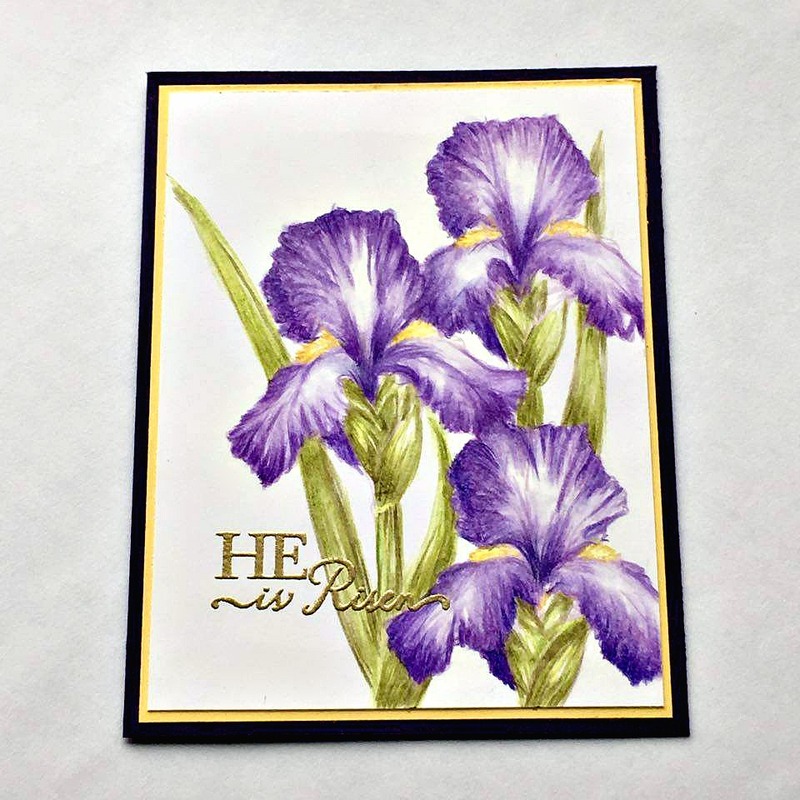 Gorgeous Easter card with the irises! Wonderful news for your twin grandsons...congrats!! !